ART ROCK | Design is a state of mind. When avant-garde approach in design sounds like art, its inspirations elevate its message and leads the public beyond admiration in a climax of contemplation. Q: When design can be considered experimental, unconventional, an avant-garde? EØ: Uhm… difficult to say. We are talking about yacht design. In this field, I guess that design can be considered unconventional when it provides an intepretation of something that is far from design. When it offers a different point of view and it is a way of seeing things in a different way. When you think outside the box. A different meaning has on the contrary the word avantgarde. In this case, design introduces shapes as something new, but the truth is that, if we look at the history of yacht design, we can see that it is just a story of cycles that continue to repeat. If we take for example the current trend of the vertical bow, it can not be considered “new”. Now many motor yachts and sailing yachts feature this design but the first time the vertical bow was introduced was a century ago. So if you want to define something as an avant-garde, you must consider a precise time frame, in other words, when something is new it is new for that period of time. Because if you go back in time, you will find that what you consider a new element now, has already done by someone else before. Exactly as in fashion. Now, “experimental”. This regards a completely different aspect: we are talking about something that has not been done before, sure, but that does not belong to the sphere of design. I thing that engineering is the part much more experiment-related. In yacht design, experimental proposals can involve a new propulsion system, for example, energy sources, new applications, new materials, or even these ones together, new applications + new materials. For example, I can refer to the use of glass. Look at that yacht for example – he says indicating a yacht moored along the dock outside his office – you have Atlantis over there, a classic boat with a metallic surface holed in many parts to integrate many small parts of glass to create the windows. Now have a look at the yacht next, Lady Moura, here the surface is completely made up of glass, you do not have windows but only one big panel of glass. And now, if we consider Venus, there is no metal in the surface, only a big wall of glass. So this is experimental, something that has not been done before. As to your fleet, which yachts can be a good example of “experimental”. EØ: Ah! Maybe, Silver Fast? Uhm, yes and no. Because Silver Fast reminds in many ways the boats of the twenties, thirties, when big engine powers were not available and when vessels, in order to go fast, needed to be thin, narrow and slender. But in a way Silver Fast can be considered “experimetal”: she is a truly different yacht because the Silver Yachts range itself is a different concept to modern yachting; she is built with a super-efficient nature. Silver Fast is the largest and fastest aluminium vessel in the world with conventional propulsion. Weight reduction has been achieved by the use of lightweight aircraft honeycomb construction. However, perhaps in terms of form and design, I find Skat “the most experimental” project in certain aspects. She was a radical departure from the conventional yacht design. It was the first time we explored flat intersecting surfaces. Q: We stated that design is a state of mind. What is your mood when you design? EØ: Ah, mostly excited. Yes, I am excited when I design. And you have to be. The first thing you do with a new project is a sketch, you start to see things, the profile, in your mind, thinking in 3D. Oh, you think in 3D? Yes, in 3D, always. Any line you draw must be seen in 3 dimensions. Then I start to develop the sketch and draw the concept in 3D by hand. Q: What is your most important achievement in your career? The project that you think has meant a significant contribution to yacht design. EØ: I think that the first important achievement in my career was probably Echo, I had the chance to work as project manager, it was some time ago but she remains very special, a landmark, with so many geometrical features… an incredible boat. If I think instead at the greatest achievement with my own company, I think it was Skat, a so controversial boat, there were people who did not like it and other who loved it. Sometimes described as militaristic, her style is truly different from most other private yachts. It is perhaps fair to say that Skat was a precursor in this respect. 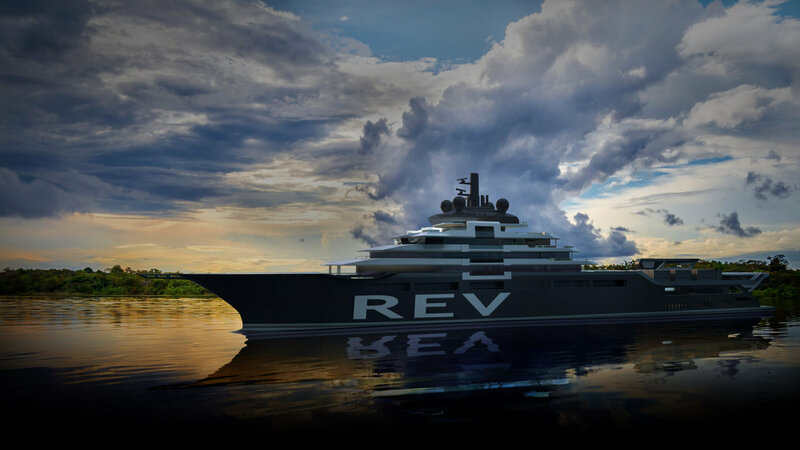 But today we are working on a very important project for the Norvegian shipyard VARD, it is called project REV. It is a huge explorer yacht with scientific purposes. It is a 182-meter long vessel ordered by a Norvegian yacht owner who decided to invest in this project for environmental research missions in partnership with WWF Norway. It will accomodate up to 60 scientists and 40 members of the crew. A great challenge for us and for the scientific community as well. REV stands for Research Expedition Vessel. 182 meters of research facilities, we have labs, auditoriums on board, all the necessary equipment must be integrated, also submarines… it is a very interesting project for us, really incredible. Construction will start between January and February 2018. 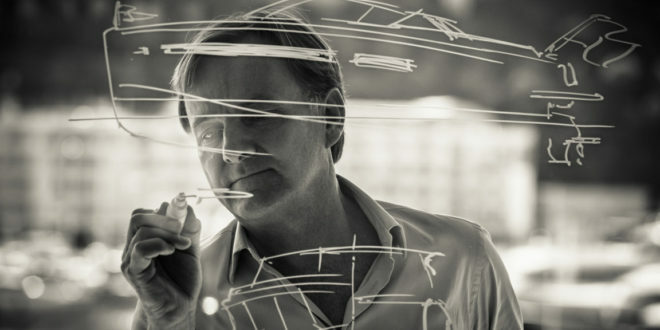 Q: You have been called “Superhero of Superyacht Design”. How changed – evolved – the “Espen Øino’s style over the course of time? EØ: It changes all the times! Actually, we do not have a style. It is not my style the one I create but the one of the client. I just interpret the client’s desires, trying to respond to a brief, to a set of requirements made by the client. Yes, but what is the yacht that is closest to your style? Ah, you want to discover my style! Yes! Uhm, I think Cloudbreak, because she encompasses both my passions, which are sea and skiing. If I have the money in the future, then my boat would be like Cloudbreak.